I agree with fashion designer Tina Daniac when she said that well-done nails are some of the best accessories to any look. But face it, who has the time? I sure dont! I'm probably the laziest person when it comes to doing nails, which is slightly embarrassing as it is part of my job to look presentable from head to toe. I'm lazy not because I don't see the value of having beautiful nails, I do, it's just that it takes so long to apply the polish perfectly and even longer for it to dry completely. I simply don't have the patience. 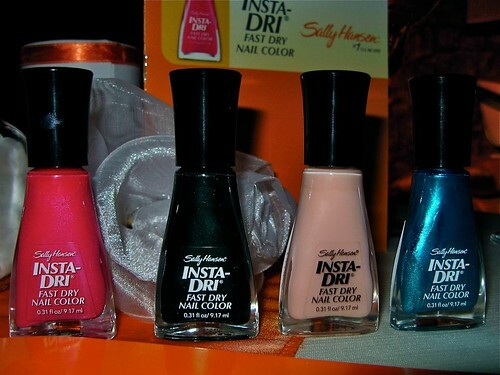 Now this is where Sally Hansen Insta-Dri Nail Polishes come in. Insta-dri promises smooth, glossy nails in one coat that will dry in 60 seconds. Verdict? 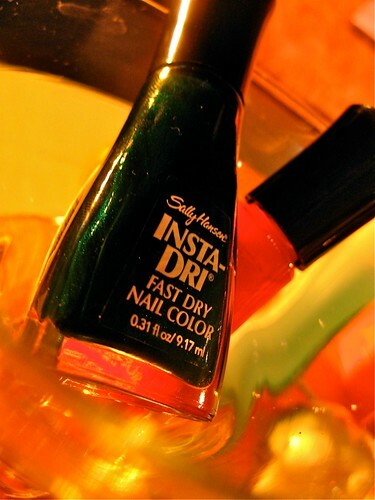 Insta-Dri polishes do dry up in 60 seconds or less! The colors I have (Flashy Fuchsia, Jumpin' Jade, and Night Flight) are very opaque so one coat is enough to get a solid shade. The product received a very high rating at my fave review forum, Makeupalley. To launch the new product, the brand has teamed up with celebrity designer Tina Daniac. The young woman came in aggressive, chic black broken by a zebra print tulip skirt. Daniac showcased her designs along with the latest Sally Hansen nail polish line. The Insta-Dri line has 15 shades of stunning, attention-grabbing colors as well as neutral ones. I'm currently wearing a darkened green shade with subtle shimmers called Jumpin' Jade. Enjoying it so far! I'll post swatches and a full review soon. You can find Sally Hansen Insta-Dri nail polishes in Watsons, Landmark , Rustan’s , Robinsons Department Store, PCX, and Metro Gaisano. It retails for P365.